We opened our doors over 85 years ago with the goal of helping people provide for themselves and their family. We are also the pioneer of the "one-stop shopping" concept, giving people from all communities access to excellent customer service, low prices and quality foods. As a family-owned company, we truly believe in the philosophy of our founder, "...take care of your customers, team members and community... and all of those will take care of you, just like family." 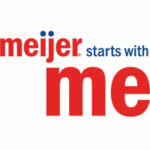 At Meijer, it's about our people and their success. Today, we have more than 70,000 employees with the strength to help you grow in any career direction you want, whether in our stores, distribution centers, manufacturing facilities or our Midwest corporate offices and over 240 stores across Michigan, Illinois, Indiana, Kentucky, Ohio and Wisconsin. It's your future, maybe it starts with Meijer. Check out this quick video about what it's like to work at Meijer.